Las Colinas Golf course can now officially boast to being the best golf course in Spain for the last 2 years! 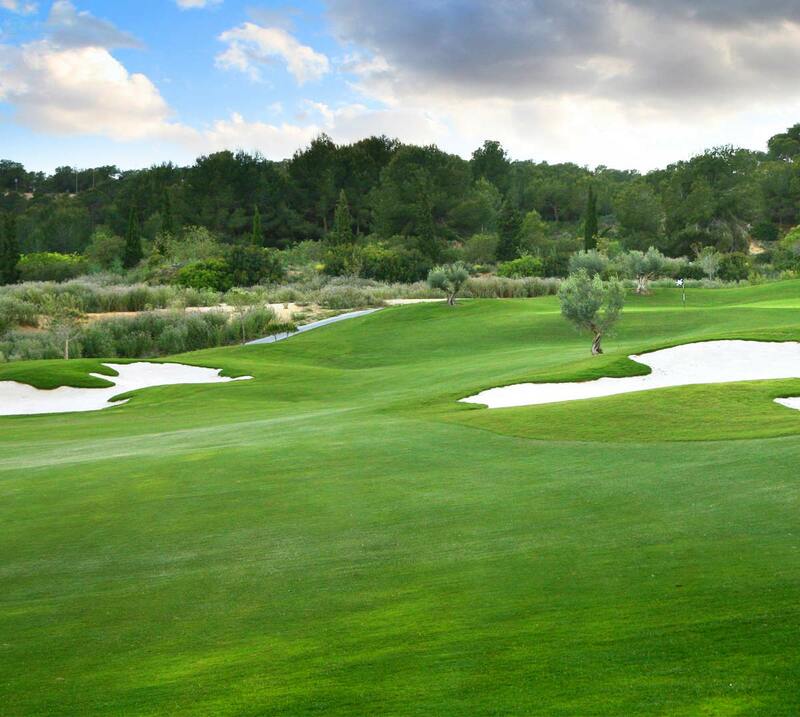 This stunning championship golf course was designed by Cabell B. Robinson who is also responsible for other acclaimed courses such as La Reserva (Soto Grande) and Finca Cortesin on the Costa del Sol, Praia d-El Rey in Portugal and the Royal Golf d'Evian in France, the course is managed by Troon Golf, the world leader in luxury championship golf course management. 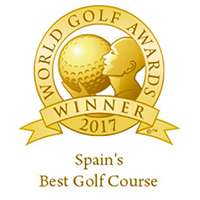 At Las Colinas Golf, our aim is to provide a unique golfing experience in terms of not only the standard and quality of the course but also an unsurpassed level of guest service which will "raise the bar" for all other courses in this region of Spain. Since 2015, Las Colinas Golf has been voted best golf course in Spain. From the moment that you drive through the Canyon style entrance of Las Colinas, the impact of the resort is instantaneous, and you just know you are in for something special. 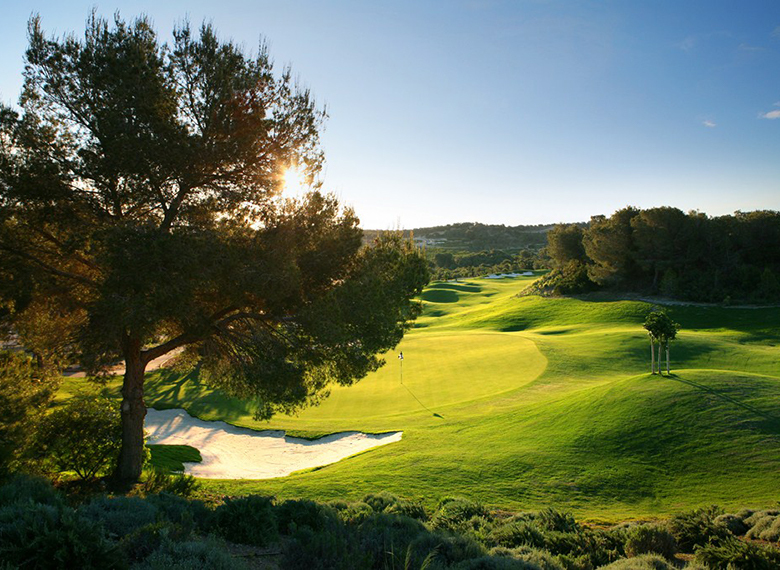 The course is set amidst orange and lemon groves, giving a traditional sense to playing golf and it works its way seamlessly through the natural topography making the best use of the views, hills, and valleys, with some fabulous challenging golf holes and incredible views! 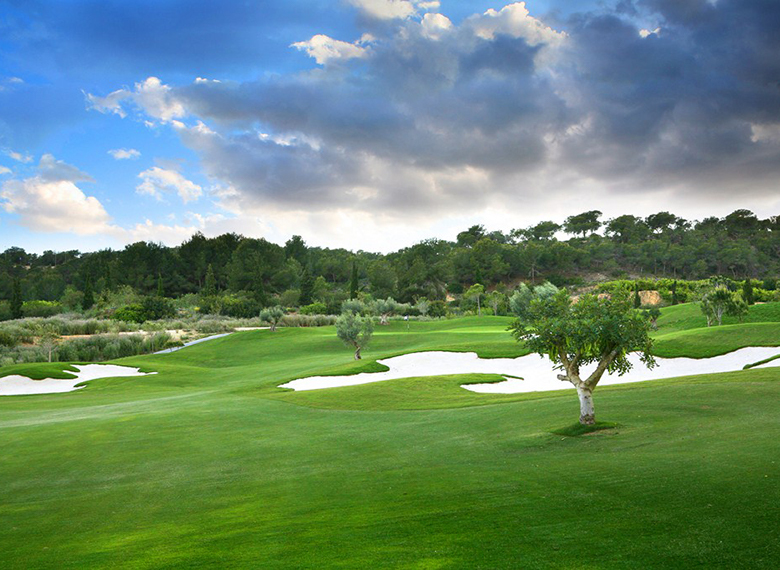 The course has generously wide fairways and more than the usual amount of right to left dog leg holes which will suit the lower handicap golfer who can draw the ball. 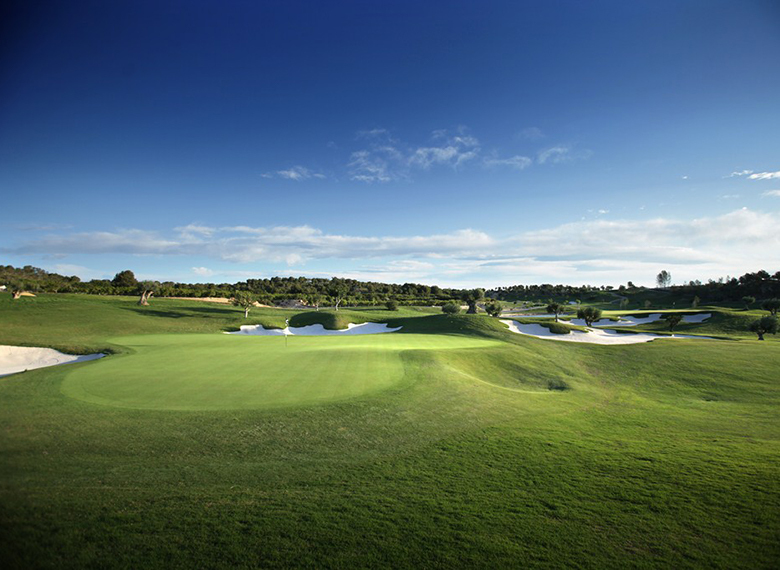 The average golfer will find a pleasant mixture of holes, with some delightful par 3 holes of little over 100 metres, to the par 5 eleventh which measures 534 metres (590 yards) from the yellow tees and an incredible 590 metres (649 yards) from the competition tees. 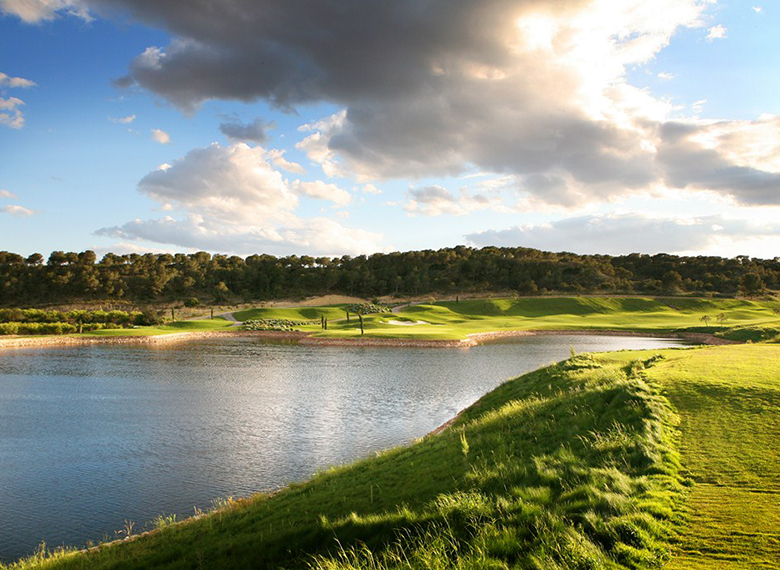 The course has six lakes which are well positioned to catch errant shots and they come into play more over the closing holes. 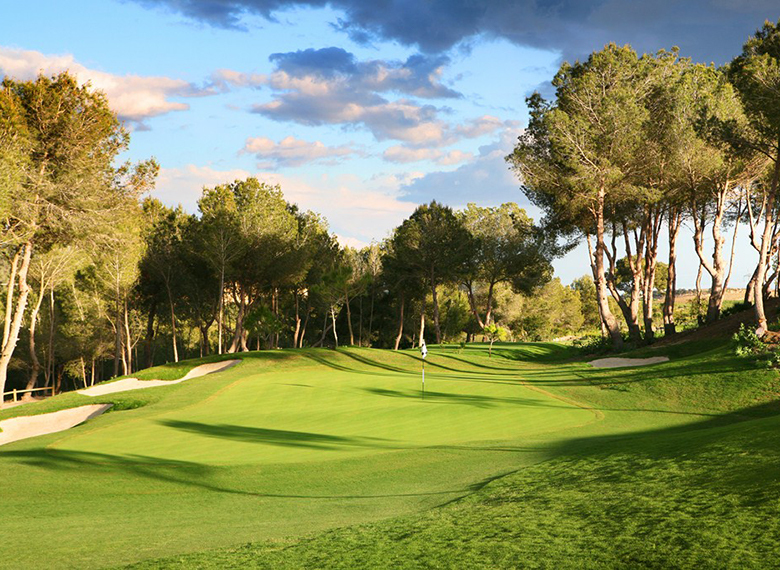 The greens have numerous subtle breaks and undulations and "run" at approx 10.5 on the "Stimp" meter which makes them PGA tour standard. 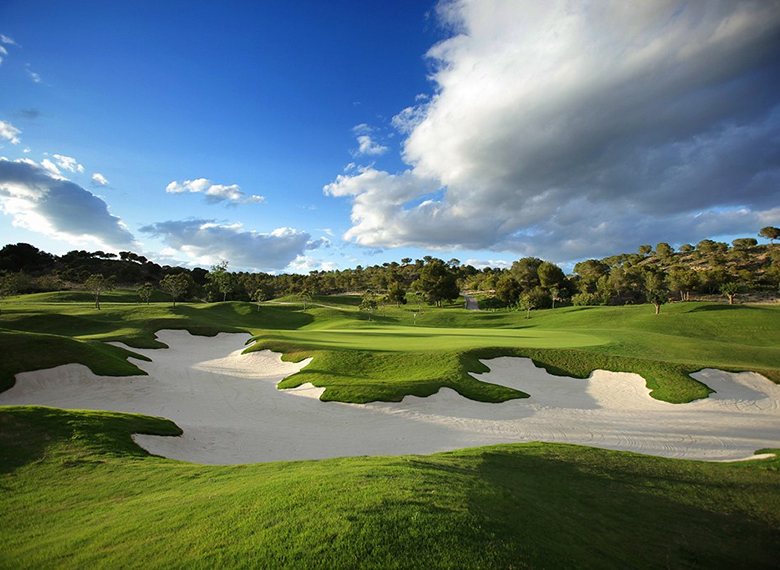 This golf course is a "must" for all golfers visiting this area of Spain. 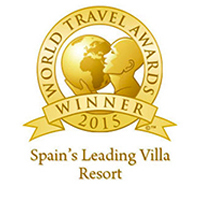 Come and enjoy Las Colinas Golf, the best golf course in Spain and Spain’s newest most exclusive 5 star gated resort.